Soooo.. Valentine’s Day has pastttt.. but we are still in the month of February, aren’t we?? 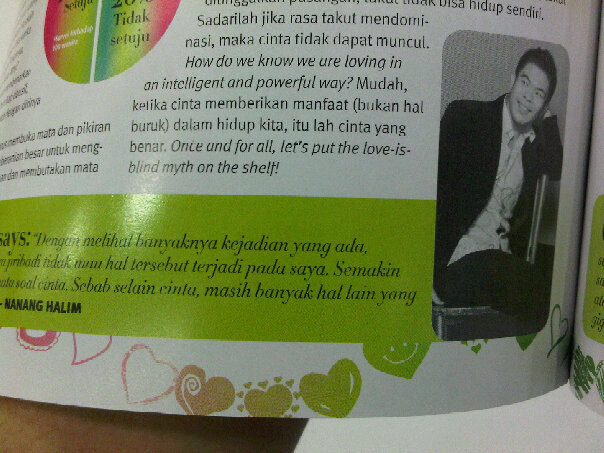 Have you got your CLEO Indonesia February issue?? Have you read about 10 LOVE MYTHS?? Find me in the magazine!! heheehehe.